Recent studies have shown that for every 13 seconds, there is a house that is broken into. The presence of security systems helps deter burglars from breaking into your house. Apart from thieves, you can also monitor your home when you are away, which ensures you are aware whenever there is an emergency such as fire. The home depot security cameras deliver a wide range of options that will help keep your home safe at all times. 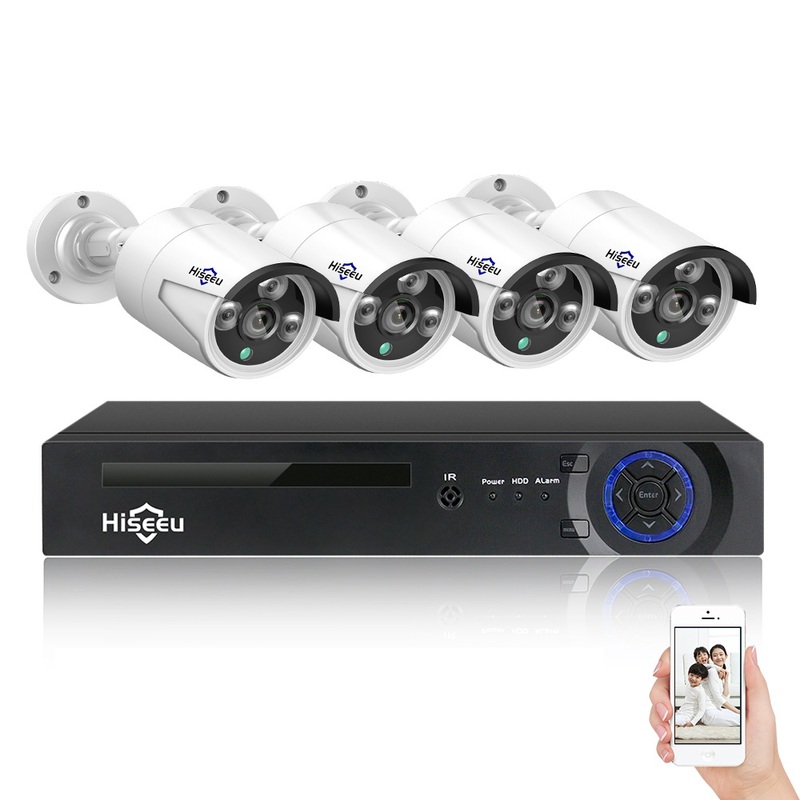 Hiseeu has, for some time now, provided companies and homes alike with security solutions. 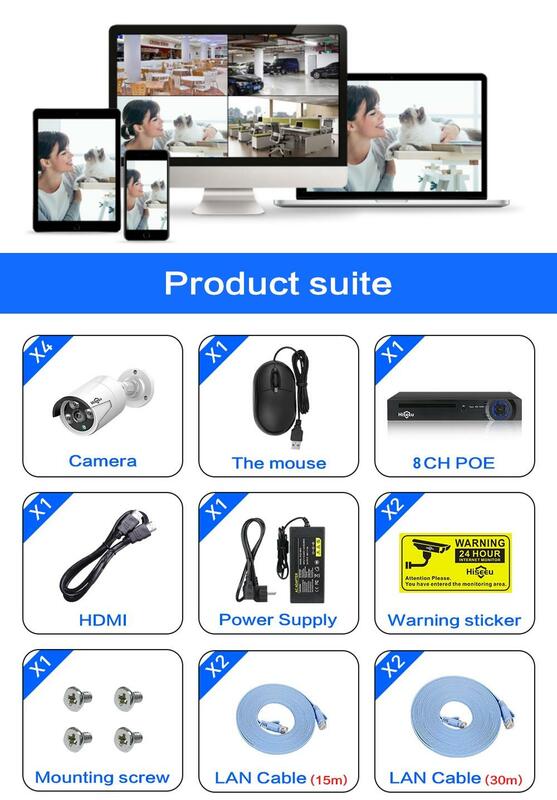 The latest release from the company is the 8CH – 4MP security camera. It comes with some pretty amazing features but what stood out is the absence of an added cost for cloud subscription for storing all your video recordings. Alternatively, the videos are recorded directly to the Network Video Recorder (NVR). Later in the article, we will get into details on all the features of this state-of-the-art security camera. Below are all the things that you will find in your package from Hiseeu. Power over ethernet describes a system that uses Ethernet cables to provide both a network connection as well as electrical power for your devices. It comes with a lot of benefits such as cost saving as only the right amount of electricity to power your devices is allowed to pass through the ethernet cable. Also, you minimize on the number of wires you could have used if you opted for a system that did not support POE. It is easy to connect and set up this whole system. All you need to to do is to use a LAN cable to connect the cameras to the NVR, and that is it. Unlike other systems whose maximum network cable length is 20 meters, the Hiseeu system supports a maximum network cable length of an amazing 100 meters, which gives you the flexibility to mount your cameras wherever you like. These cameras are suitable for both indoors and outdoors. Its metal shell and weatherproof design allow it to withstand any weather. It features the latest technology that allows the cameras to record clear images even in total darkness. When connected to the internet, you can access the cameras from anywhere in the world, which allows you to monitor your property in real time. 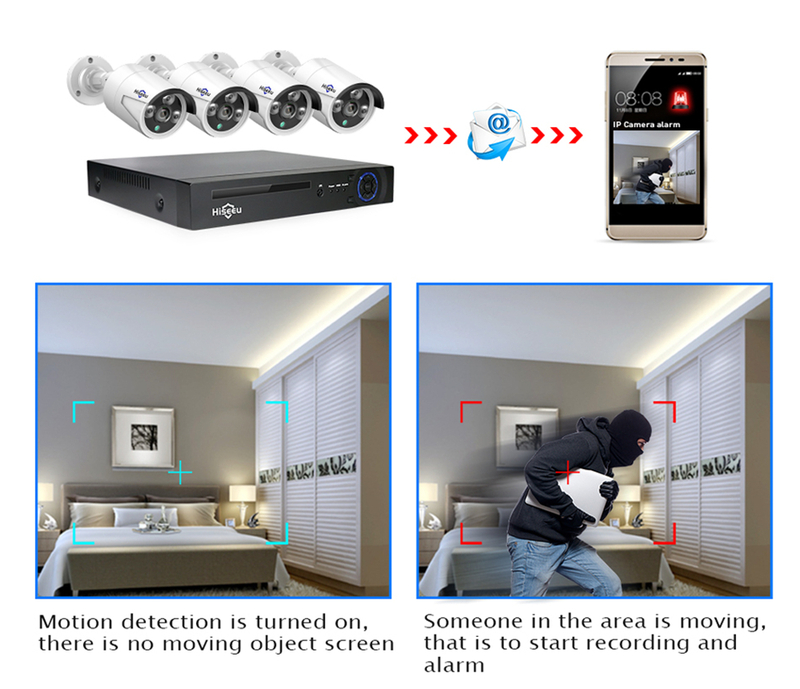 In case the cameras detect any motion, you will receive an email alert on your phone, tablet or Personal computer, which gives you the opportunity to act fast.